When your body loses sufficient water to affect performance and health, you're dehydrated. Your body sheds heat through evaporating sweat, which comes primarily from water in blood plasma. Unless you replace this lost water, your blood will thicken, making it harder for your heart to pump blood and oxygen to your muscles, and to send blood to your skin surface to cool off. As a result, you slow down, heat up, and move closer to heat exhaustion and heat stroke. 2. Cold or clammy skin. 4. Disorientation—This last one can be tough to spot, so try this: think of an easy fact, like your home address. If you have trouble recalling it while running, you might be getting dehydrated. Hydration occurs slowly, so drink regularly throughout the day. To see how much you need to replace, weigh yourself before and after exercise. While burned stored fuel and electrolytes account for some of the weight loss, much of it is water. On a hot day it’s possible to lose five pounds of water. 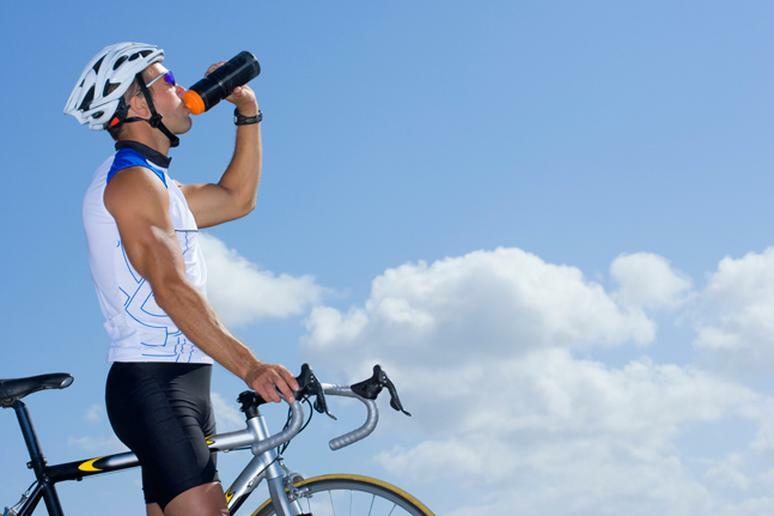 Considering that as it only takes a two percent loss in body fluid to affect performance, and that further loss can be dangerous, it’s important to drink regularly before and after exercise. What Can I do if I Get Dehydrated? Heat stroke doesn't suddenly happen; watch for the warning signs. If you experience any symptoms of dehydration, slow down and take in fluids ASAP. Don't be proud: slurp water from a garden hose, or knock on someone's door. Cool off by pouring water on your wrists, arms and head. Wet your cap, and sit in a shady area. If you don't feel better quickly, call 911—this can be a potentially dangerous situation. Train Smart, and have fun!